Searching for a suitable social media management tool often brings you to Hootsuite. It is probably the most known and used tool out there. Is it best for you as well? Personal preference based on personal experience tells you best but ain’t nobody has time to try all tools right? 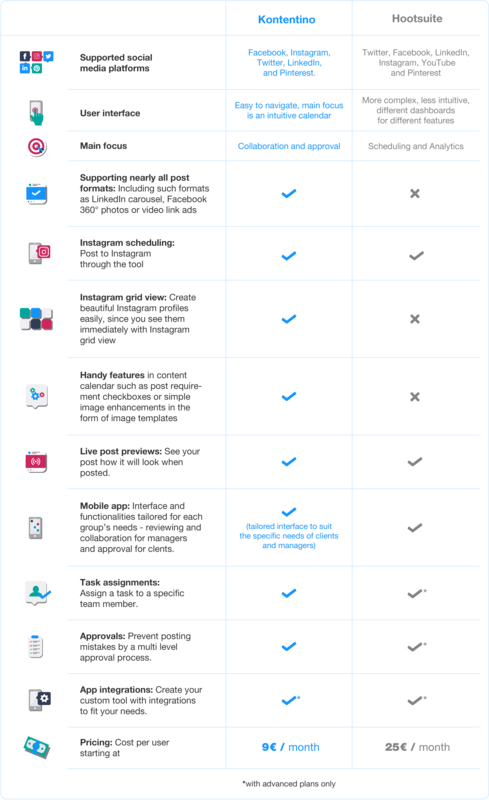 Let’s find out whether Hootsuite or Kontentino fits your needs better. Kontentino was born in a social media agency to speed up the content creation process. It focuses on collaboration, approving, scheduling, publishing and creating reports both internally and with clients. Its price starts at €9 per user a month. Hootsuite is a management app mainly focused on scheduling, since approval and collaboration features are only available in higher and more expensive Hootsuite plans. The price starts at €25 per user a month. Tag pages: Simply tag pages in your post copy as you are used to doing on Facebook and LinkedIn. Audience restrictions: Set up the preferred audiences for your Facebook posts based on age or country. Inspirations: You or your client can add post inspirations to the calendar. Let Kontentino remind you of the brand anniversary, new product launch or international holidays. Insights and Reporting: They won’t replace full-blown analytics, however, they are perfect for an overview of your posts and pages. And you can easily export a report for your client. Assets: Unlimited storage for your agency’s media. You don’t have to worry about running out of space ever again. 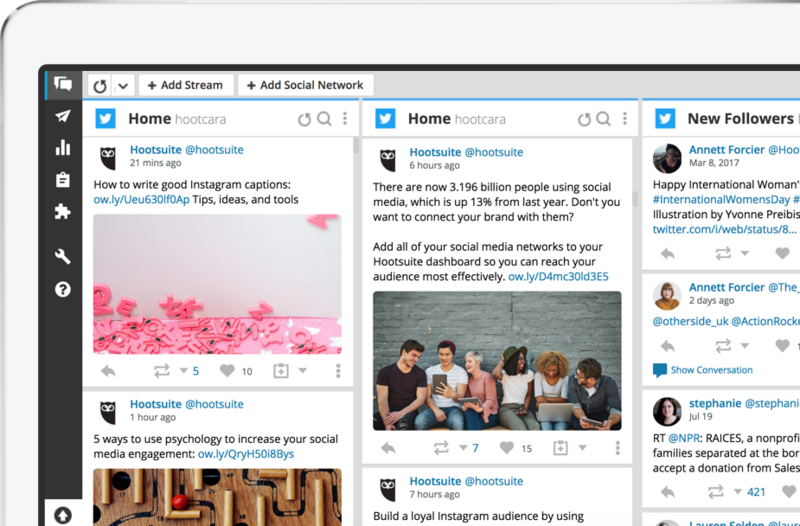 Streams: the Hootsuite dashboard offers a fully customizable board of streams, you can see your posts, mentions, messages of any of your managed accounts in any order you want. Fast posting: Hootsuite takes just a few clicks to schedule your post. This, however, comes at a cost of not having any additional handy features when scheduling in Hootsuite planner. Hootlet: Another time saver. Hootsuite’s browser extension will ease your re-posting. Have you just stumbled upon an interesting article you would like to share? Just a few clicks and you can share the link with your social media audience. 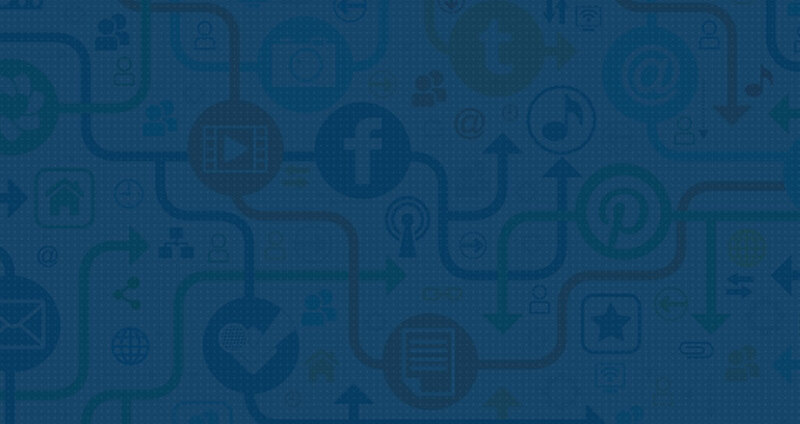 URL Shortening: Similarly to bit.ly links, posts in Hootsuite are shortened to ow.ly. You get reports on clicks and your content performance. 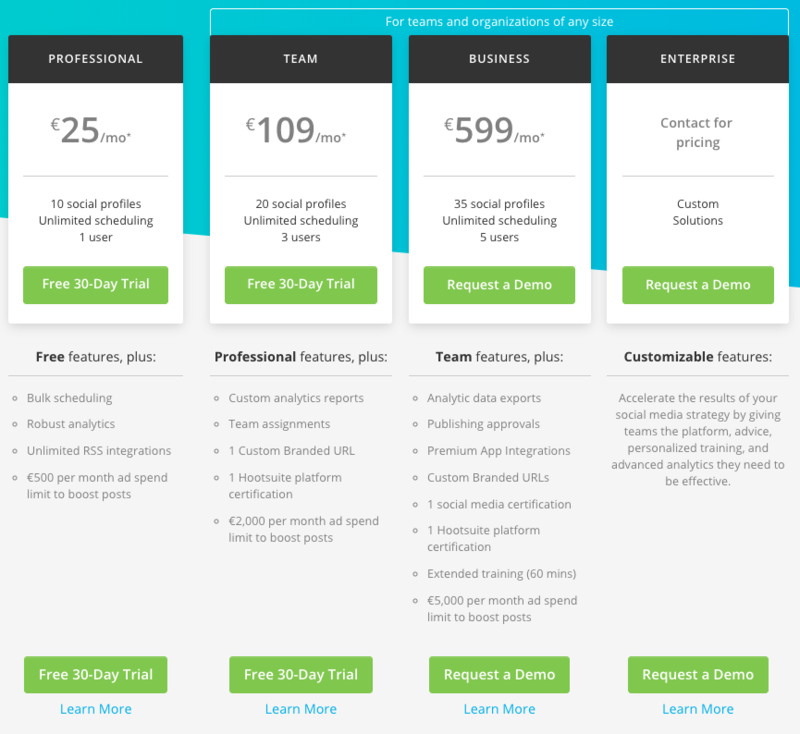 Hootsuite asks you to pay extra for certain features that could be considered Hootsuite premium apps. Kontentino offers these features with regular plans. Other big difference is the number of users that have access to the tool. Why is that? Kontentino’s intention is to grant access to clients of each company that is using it. For example, when you are an agency that takes care of social media accounts of many different clients, you want to give them access to review and approve particular scheduled posts. This is the reason why the number of users is set higher than Hootsuite’s or other Hootsuite’s competitors. For small companies that do not have many social pages, only one person to manage them and require just basic social media scheduling, Hootsuite is better suited, since it lacks collaboration and approval features and focuses on scheduling. For larger brands and agencies which need to coordinate multiple people, need to set approvals, see categories and content balances, the budget for posts and don’t have a lot of money to spend on tools – Kontentino will definitely suit you better than Hootsuite. It will satisfy all general needs and won’t hurt the company’s wallet. Have you chosen which tool is better for your needs? Let us know in the comment.